For most people, their 401(k) and Individual Retirement Accounts (IRAs) are their single largest investment accounts. In fact, over half of our investments under advisement are held in retirement accounts. Because we’re so dedicated to helping clients make smart choices about their IRAs, we’ve joined Ed Slott’s Elite IRA Advisor group. 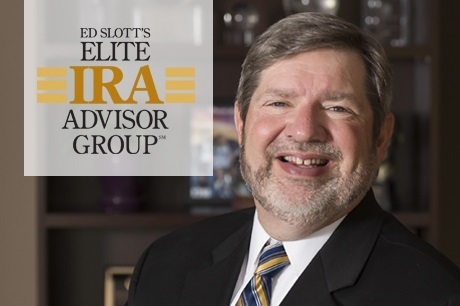 Ed Slott's Elite and Elite IRA Advisor Group™ is an exclusive organization of financial advisors dedicated to being leaders in the IRA industry. Because being the best in the business requires an enormous amount of ongoing education, time and effort, Ed Slott created Ed Slott's Elite and Master Elite IRA Advisor Group™ as a single resource to equip dedicated retirement professionals with up-to-date tools and resources to help their clients. As a member of this truly elite group of advisors, Mr. Stallcop meets twice a year with Ed Slott to keep up on the latest IRA distribution and planning strategies. 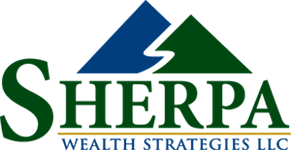 In addition, Sherpa Wealth Strategies is in constant contact with Ed Slott’s technical experts on specific situations. The Slott organization sends our office frequent updates and alerts when there is a court decision on retirement or tax cases. Ed Slott's Master Elite IRA Advisor Group is not affiliated with nor endorsed by LPL Financial. This video is an introduction to Ed Slott's Public Television Special RETIREMENT RESCUE! A powerful call-to-action for American consumers concerned about their retirement, Ed Slott defines the monumental fiscal problems facing Americans and provides a step-by-step solution to creating a plan of action. * The opinions voiced in this material are for general information only and are not intended to provide specific advice or recommendations for any individual. Ed Slott is not affiliated with LPL Financial. Want to discuss your 401(k) and Individual Retirement Accounts?